For some contracts it is not possible to complete the work during normal working hours. Both highway maintenance schemes and level crossings often need concrete supplied through the night so transport links are not closed down during busy periods. 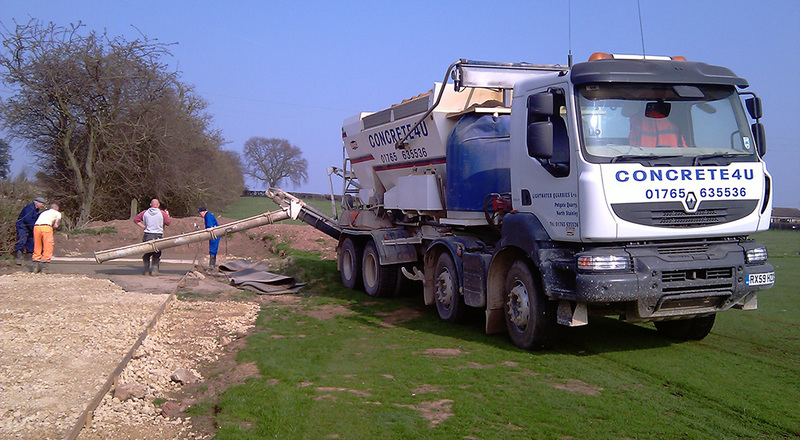 At Concrete4U we have lots of experience delivering out of hours and all through the night working on the A1, A64 and supplying level crossings across North Yorkshire. The mix on site wagons (volumetrics) carry up to 9m3 and can supply several different mixes as part of any load, they can also change the consistency (slump) of the concrete during a pour. Because the wagons are able to start and stop mixing on demand and they concrete is mixed at the time there is never any waste and it is never a concern over a long night shift it the wagon needs to do several small tips over along shift. As fresh concrete has a limited life it is difficult to plan for a night shift and also difficult to do multiple drops. The volumetric wagons alleviate this issue by mixing fresh concrete on demand and allowing for flexibility with strength and workability requirements. 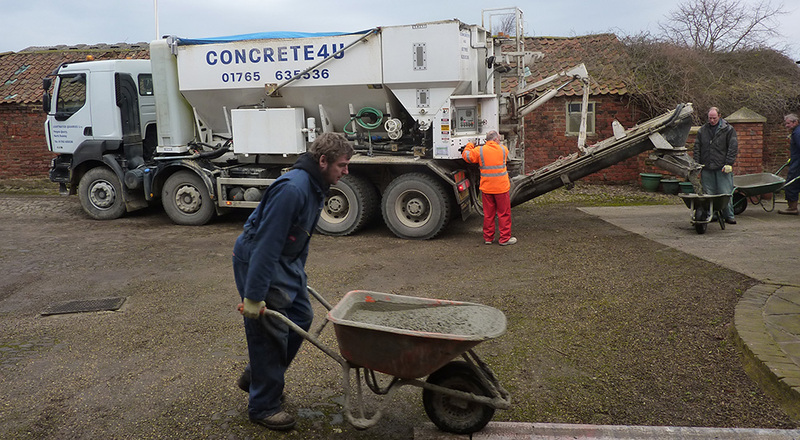 So if you need out of hours concrete in Harrogate give us a call.